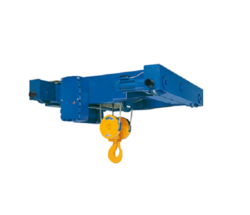 We provide an extensive range of Rope Hoist which consists of a hoisting gearbox that can be mounted directly with rope drum and motor is mounted with gear coupling or geared brake drum. Manufactured using top quality raw material procured from reputed companies like Tata, Crompton, Alstom, Siemence, Usha Martin, SAIL and BBL, these are appreciated widely by our clients for their optimum quality and high efficiency. Our products are available in 3t. capacity and requires no manual alignment because all mounting accessories are precision machined. 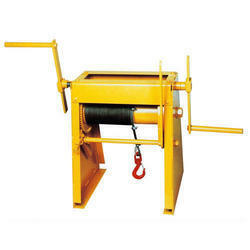 Ganesh Engineering Co. is a reputed name in the field of manufacturing, supplying and exporting Wire Rope Hoist. 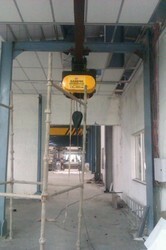 We are renowned for manufacturing both plate and bolted type of Hoist. In the Wire Rope Hoist, the Hoisting gearbox is directly mounted with rope drum and motor is mounted with gear coupling or geared brake drum which makes the working of the Hoist all the more effective. Being one of the renowned entities in the global market place, we are manufacturing certified quality of Crab Unit. These equipments are widely installed in cranes for their proper and smooth functioning. Depending upon the type of crane, we can also customize these units. Manufactured out of quality tested steel, these equipments are available in different load capacities. Our entire range of Crab Unit is highly reckoned in market for its compact and light weight construction, heavy load carrying capacity and robust construction. 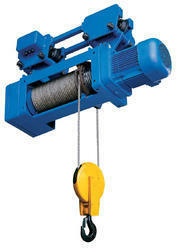 Looking for Rope Hoist ?